process pvc injection/die casting/stamped etc. for customized sample,sample fee refundable for large order. finished color nickel,gold,pearled gold copper,silver chrome,anti-brass etc. (2) Nickel and lead free, low cadmium, comply with the Euro test requirement. (3) Free artwork and design. (5) Reliable quality and considerate service. &bull; Quality control We have established a strict quality control system from the raw materials to the finished products. Since stainless steel is also characterized as a magnetic material, you could select magnet as the attachment as well. 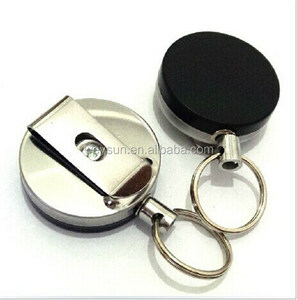 It also can be made in a very thin plate (0.4mm thickness) and inserted in the recessed areas of key chains or coins. 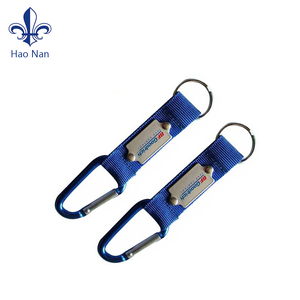 Ningbo Meipin Huichuang Gifts Co., Ltd. Customized Shape Plastic Retractable Card Badge Holder Key Chain Material for badge reel: plastic case, nylon string Size for custom badge reel: about 40mm String size about 60-65cm Shape: we have badge holder pull reel in shape round, square, heart shape, star shape, custom shape is also welcome Design: with custom branding for plastic badge holder pull reel. Logo: sticker, epoxy, print Package: common package is 1pc/oppbag, 50pcs/box, 1000pcs/ctn; custom package is ok for pull reel badge holder MOQ: 500pcs for exist mould plastic pull reel, 5000pcs for custom shape We have various designs and sizes, below pictures are only part of them for your reference. various designs plastic pull reel badge reel customized plastic retractable cord reels custom badge reel with cord keychain Round epoxy logo plastic badge holder epoxy logo retractable badge holder pull reel epoxy logo pulling reel smile face pull key reel plastic retractable key reel star shape plastic retractable string reel transparent plastic retractable rope reel square plastic id card holder pull reel plastic transparent yoyo badge reel crystal epoxy branding retractable cord reels with keyring silver/gold painted/plated plastic key reel various designs shapes plastic budge holder pull reel We can meet your needs Please contact us now! 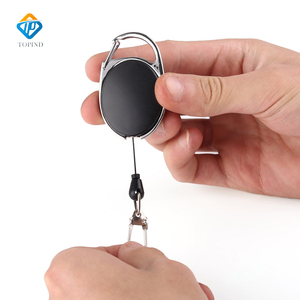 Yiwu Shenzhen Technology Co., Ltd.
4.Customied shape keychain image can be customized according to customers request. 3.We are not responsible for any accidents,delays or other issues that caused by the shipping couriers. The material the color the size,all of these customize according to your idea ! Shenzhen Awells Gift Co., Ltd. Sample Time 5-7 days after artwork approved Lead Time 10-25 days after sample approved(depend on order qty) Shipping by sea from Shenzhen or Guangzhou port by express:DHL/UPS/FedEx etc. Payment T/T, Western Union, Money Gram,Paypal,L/C sample charge is mold fee, 30% deposit and balance before delivery for bulk order. H. S Code 8308100000 Main Markets most of the middle-high level PRODUCT SHOW Packaging & Shipping We offer the lowest EXW Price ! 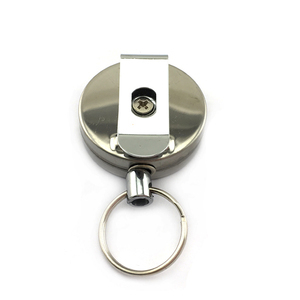 Shenzhen Huaxinsheng Metal Products Co., Ltd.
Guangzhou Stylbo Arts & Crafts Co., Ltd.
New design retractable metal key chain with led light China About us We are Guangzhou Sborn Ornaments Co,.LTD. We are mainly specialized in metal gifts and crafts ,such as key chain , key ring, key holder, mobile phone chain ,mobile phone strap, cardcase, necklace, bottle opener, bookmark , letter knife, handbag holder . Additionally, OEM and ODM are Trading terms : Company Name Guangzhou Stylbo Arts and Crafts Co,. 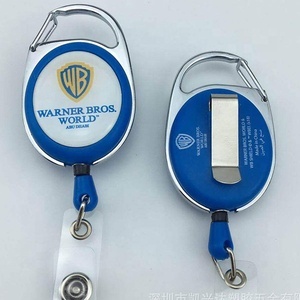 Dongguan Xu Sheng Metal & Plastic Co., Ltd.
Shenzhen Love Fashion Gifts Co., Ltd.
Shenzhen Junhao Century Metal & Plastic Co., Ltd.
Beijing Frasun Technology Development Co., Ltd.
Dongguan Goldenstars Ornament Co., Ltd.
Can I custom a keychain with my logo/ idea9 Of course. 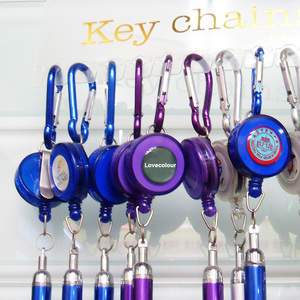 We could make a keychain with your logo/ idea in a new mould, or our existing keychains. We provide our product with much lower price for each other. FZ Promoto Intl Trading Co., Ltd.
Q: What is that string called? 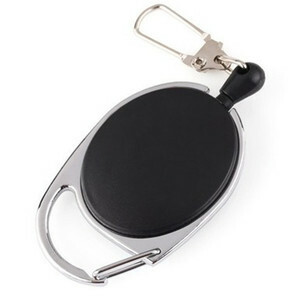 A: They are called retractable crucial rings , retractable key holders , retractable key chains , and they do make them for cell teletelephones , cameras , and other gear , even retractable dog leashes . Q: How many keys do you have on your key chain? A: Since I have a garage door opener , I solely carry my automobile key so I does n't have an key chain . In the event the power is out , the home key is in my coin dish in the automobile ( so I can still get in ) .